Centro de las Artes, N.L. UNFOLD is an international project that brings together works on paper by twelve artists from Latin America to Budapest, with our guest artist from this city. 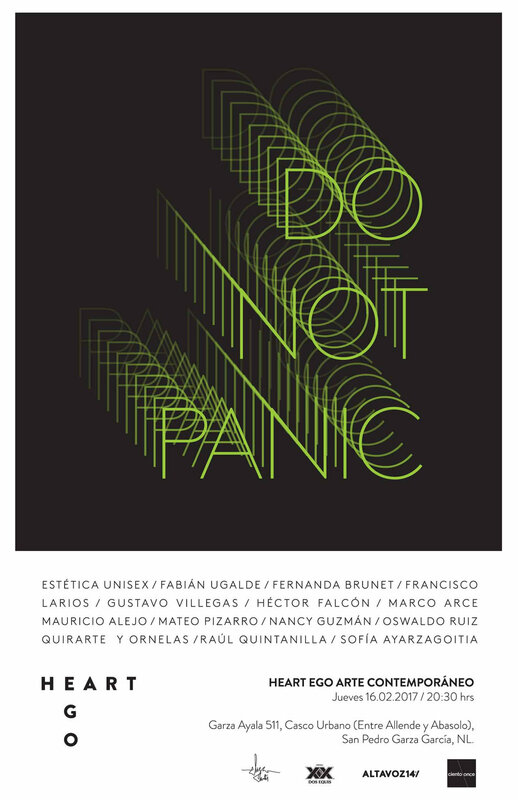 The exhibited artists are Amadeo Azar (Argentina), Rodrigo Torres, Pedro Varela (Brazil), Zsófia Barabás (Hungary), Daniel Alcalá, Jacobo Alonso, Omar Arcega, Marcos Castro, Mónica Espinosa, Héctor Falcón, Jésica López, Tania López Winkler, Quirarte + Ornelas (Mexico), José Vera Matos (Peru). UNFOLD’s approach to the Latin American & Eastern European art scenes aims to open dialogue about artistic & collecting practices in both regions to understand how they have developed and thrived through time. At a time when immigration and diversity are in the news everyday, UNFOLD is an exhibition which invites the audience to reconsider stereotypes, notions and even expectations of the Other. Artists from Latin America are often expected to respond to features that have been socially and culturally constructed as the exotic. The concept 'unfold' by Gilles Deleuze refers to a form of connection, in which all of the universe is a process of folding and unfolding the outside – which creates an interior that is not an inside grown autonomously from the outside world, but merely a doubling of the outside (something he gets from Foucault). Taking a piece of paper and folding it creates a line, which immediately divides inside and outside, but it still is part of the same whole. 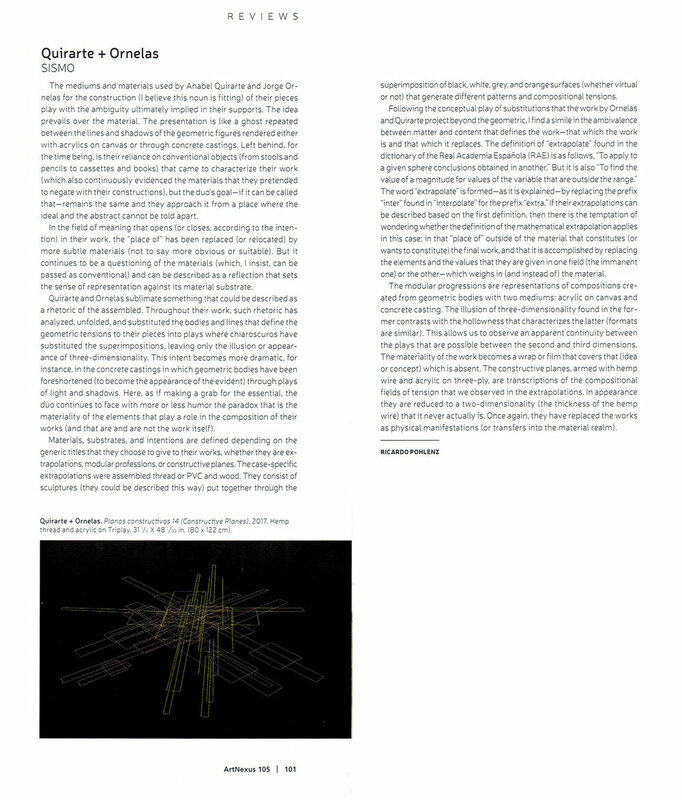 This is the approach of this exhibition, an understanding of the artists from Latin America building their body of work as the inside part of their own process of unfolding, influenced by their individual contexts whilst each having their own perspective that comes from and into a universal language within a globalised era –the outside. The UNFOLD exhibition showcases exclusively works on paper, exploring this media as a response to the challenges faced by artists in an increasingly media-saturated world. 96 Chalton Street, London NW1 1HJ. 10.Oct.2015 - 20 October 2015. 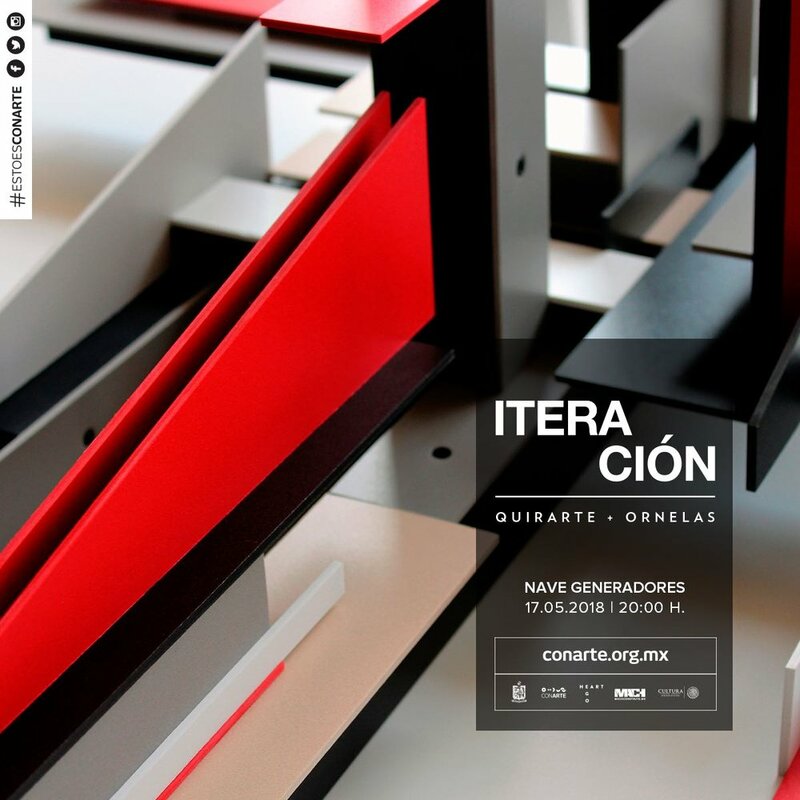 Artists: Amadeo Azar (Argentina), Rodrigo Torres, Pedro Varela (Brazil), Miler Lagos (Colombia), Daniel Alcalá, Omar Arcega, Marcos Castro, Héctor Falcón, Tania López Winkler, Quirarte + Ornelas (Mexico), José Vera Matos (Peru). the quality or fact of being different. "the developed world has been celebrating Latin American art while altogether denying its otherness"
2. 2. Otherness is due less to the difference of the Other than to the point of view and the discourse of the person who perceives the Other as such. 3. 3. Alterity or otherness, the philosophical principle of exchanging one's perspective for that of the "other"
The Other is often seen as the outsider, one that does not belong, or even an exotic. This exhibition presents a group of contemporary artists who communicate using a universalised language, but who have their own perspectives on the root of their common cultural heritage: Latin America. Each artists' subjective vision is built and influenced by specific contexts (Argentina, Brazil, Colombia, Mexico and Peru), which does not correspond to the constructed stereotype of Otherness. Yet, the urge to take into account the Other's gaze from peripheral histories and narratives for the sake of alterity persists. The drive of unfolding global ethos has rendered such labels that seem redundant and even democratised to capitalise on particular backgrounds. Constructed Otherness lays out Latin American artists' standpoints and aims to make them visible to the spectator not through otherness, but instead proposes an immersion into these artists' own perspectives. The exhibition focuses on works in paper as a medium, seeing it as a response to the challenges faced by artists in an increasingly media-saturated world. As a curatorial choice, it seeks to enhance this group of artists' motivations when engaging with key practices and establishing their own conversations. 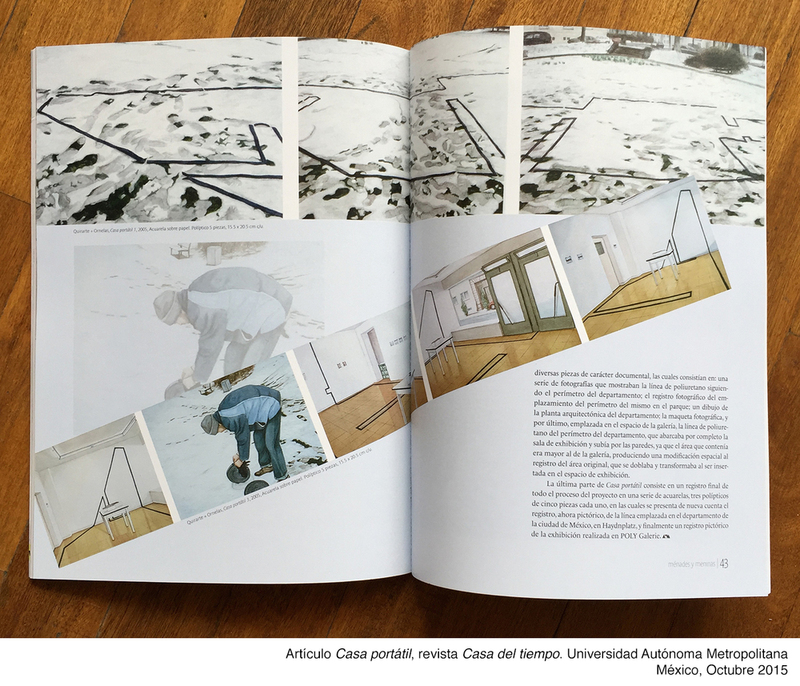 Quirarte + Ornelas in The New Collectors Book 2015. Published by Basak Malone LLC. New York.